It is makrooh to single out the day of Friday for fasting, unless that coincides with a fast which one usually observes, such as a person who fasts alternate days, and a day that he fasts coincides with Friday, or a person who has the habit of fasting on the first or last day of the month, or the middle day of the month. As for Friday, it is not Sunnah to fast on this day, and it is makrooh to single it out for fasting. Hadith no. 822 and 823 are repeats. Read them here and here. Hadith no. 825 is same as above. A man came to the Prophet (p.b.u.h) and said, “Livestock are destroyed and the roads are cut off.” So Allah’s Apostle invoked Allah for rain and it rained from that Friday till the next Friday. The same person came again and said, “Houses have collapsed, roads are cut off, and the livestock are destroyed. Please pray to Allah to withhold the rain.” Allah’s Apostle (stood up and) said, “O Allah! (Let it rain) on the plateaus, on the hills, in the valleys and over the places where trees grow.” So the clouds cleared away from Medina as clothes are taken off. Hadith no. 828 is the same as above. Hadith no. 830 is the same is 827. Hadith no. 831 is a repeat. Read it here. Allah’s Apostle was delivering the Khutba (sermon) on a Friday when the people stood up, shouted and said, “O Allah’s Apostle! There is no rain (drought), the trees have dried and the livestock are destroyed; Please pray to Allah for rain.” So Allah’s Apostle said twice, “O Allah! Bless us with rain.” By Allah, there was no trace of cloud in the sky and suddenly the sky became overcast with clouds and it started raining. The Prophet came down the pulpit and offered the prayer. When he came back from the prayer (to his house) it was raining and it rained continuously till the next Friday. When the Prophet started delivering the Friday Khutba (sermon), the people started shouting and said to him, “The houses have collapsed and the roads are cut off; so please pray to Allah to withhold the rain.” So the Prophet smiled and said, “O Allah! Round about us and not on us.” So the sky became clear over Medina but it kept on raining over the outskirts (of Medina) and not a single drop of rain fell over Median. I looked towards the sky which was as bright and clear as a crown. 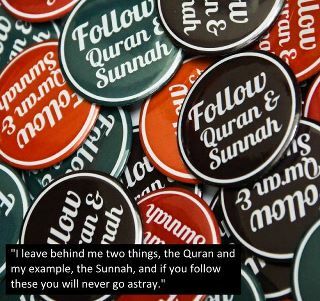 What do we learn from the Ahadith mentioned above? Drought is a form of punishment that Allah (SWT) inflicts upon the disbelievers or the ungrateful. Istisqaa’ (the two rak`ah-prayer and du`a) can be offered in a mosque. Imaam/Khateeb can pray for rain during the Friday sermon (without offering the two rak`aat beforehand). One may pray for rain facing a direction other than the qiblah. One may invoke Allah for rain on the pulpit. If it rains too much, it is Sunnah to ask Allah to stop the rain or take the clouds somewhere else. The words: “around us and not on us”. If people request the Imaam to invoke Allah for rain, the Imaam should not refuse.